New high quality Galfer Wave rotor, manufactured in Spain and specially developed for bike trials by renowned brand Galfer. 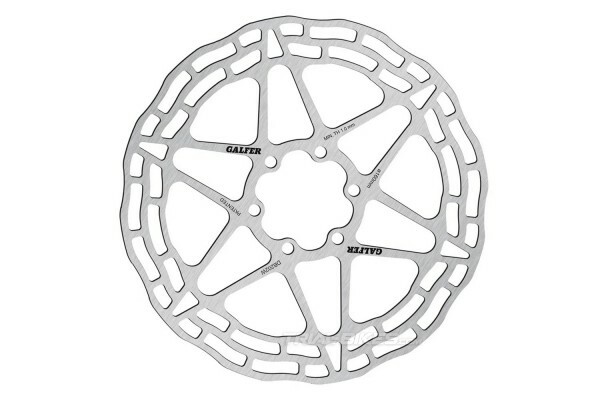 - New high quality Galfer Wave rotor, manufactured in Spain and specially developed for bike trials by renowned brand Galfer. - Features laser-cut, reinforced reticular construction, which helps deal with axial and radial stress much more efficiently. - Made from high-quality, high-carbon-content stainless steel, with anti-corrosion treatment, using Galfer’s own special composition and roughness. - Furthermore, it features a central nerve in the middle of the braking surface, which helps improve overall performance. - These qualities make it ideal for both the front and rear brakes. - Only available in 160mm diameter. - Galfer logos and info laser etched on the central arms. 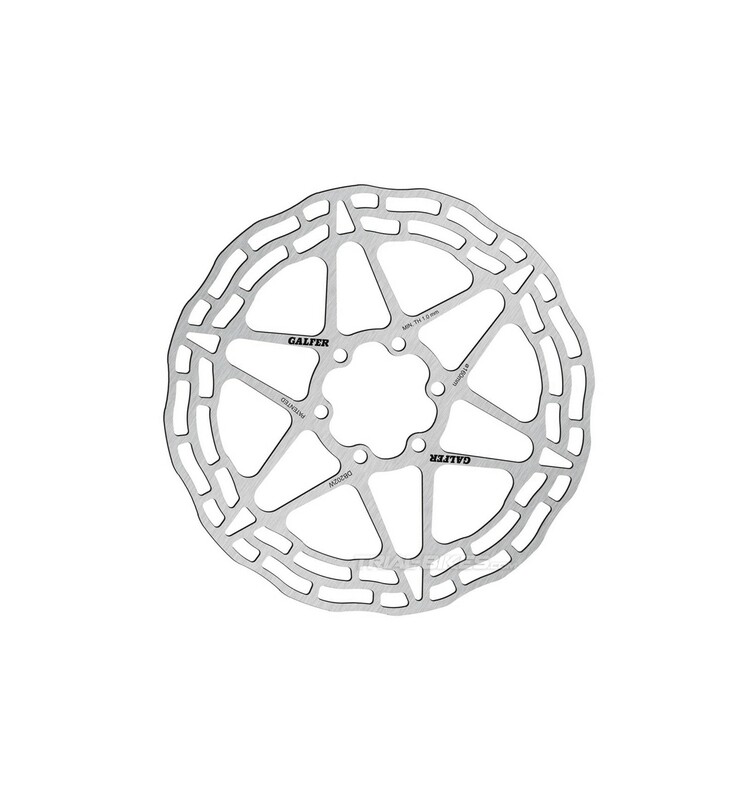 Galfer recommend to bed in the rotor by making a smooth use of it before riding trials. By braking multiple times, the material in the pads and rotor will gradually heat up, reaching a temperature that allows material transference between pads and rotor’s surface.